A look at which Iowa football freshmen have the best chance of playing in 2017. 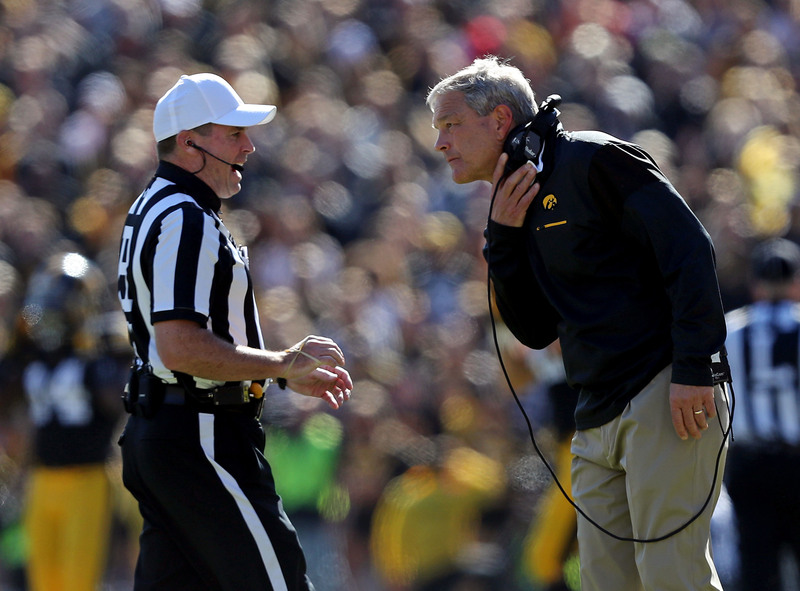 True freshmen typically don’t have a big role under Kirk Ferentz. Last season, Iowa football‘s top-three recruits — Cedrick Lattimore, Nathan Stanley and Noah Fant — rarely saw the field. Lattimore only played in one game, Stanley only saw time in blowouts and Fant didn’t start to see consistent playing time until the end of the season. That has been a common theme for the Hawkeyes. They like to redshirt a lot of their players to develop them and ease them into action throughout their career. It’s a reason Iowa always seems to be a veteran team filled with upperclassmen starters. This season could be different, though. The Hawkeyes landed their first five-star recruit since 2005 and finished with one of their best recruiting classes in years. Iowa finished 41st in the nation, according to 247Sports, with a lot of players who look skilled enough to make an impact right away. Some of Iowa’s best recruits still won’t see the field, but the Hawkeyes have holes to fill after losing a lot of key seniors. It might not happen all in week one, but the Hawkeyes should play a lot more true freshmen this season after finishing with one of their most impressive classes in years. Here are four freshmen who have the best chance of playing. 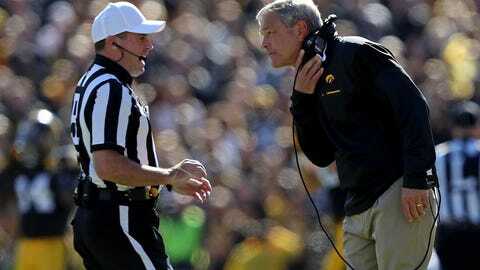 Iowa football coaches saying A.J. Epenesa can play wherever he wants on the defensive line is a pretty clear indication that he will see significant playing time in 2017. It’d be hard not to considering Epenesa is their first five-star recruit since 2005 and arguably the top incoming defensive end in the nation. At 6-5, 260 pounds, Iowa is hoping to get him to 300 pounds before the start of the season. It’s somewhat of a lofty goal, but it’s definitely plausible once he starts lifting with the team. The debate isn’t about whether Epenesa will play in 2017 or how much, rather where he will play. He’s a proven strong edge rusher with great speed and strength in high school, plus his highlight reels are also filled with him blocking punts and batting passes down. Even with the immense talent and potential Epenesa has, Iowa’s coaching staff won’t try to put too much on the freshman’s plate. If he can prove to be effective at defensive end and tackle then he’ll play a lot of snaps. Until then, it will be interesting to see how fast Kirk Ferentz wants to throw him into the fire and give him a lot of playing time. That said, the loss of Jaleel Johnson definitely leaves an opportunity for him at defensive tackle. No, punter isn’t the most exciting position. Although, Ron Coluzzi proved last year how valuable punters are. He averaged 41.1 yards per punt in his only season with Iowa, as he changed field positions during the many times Iowa’s offense couldn’t move the ball. Coluzzi graduated and Iowa needs a new punter, though. It didn’t look like Iowa would land one before Ryan Gersonde committed to the Hawkeyes a day before National Signing Day. He joins the Hawkeyes as the only punter with a scholarship. 247Sports only gave Gersonde two-stars, but Kohl’s Kicking Camps, which is one of the best punting camps in the nation and held by many NFL punters, gave him five-stars and ranked him as the ninth best punter in the nation. Even though Gersonde received two very different ratings, it’s promising that NFL punters and one of the most elite camps in the nation viewed him as a top-tier punter in 2017. Either way, Gersonde is the clear-cut favorite to be Iowa’s starting punter in 2017. It’s unlikely Iowa will choose a walk-on over their scholarship punter, so Gersonde will get an opportunity right away to prove himself. With Desmond King and Greg Mabin graduated, Iowa needed to add depth to their secondary. They did so by signing six defensive backs in 2016. According to 247Sports, Trey Creamer is only the fourth best defensive back and third best cornerback in Iowa’s class. With players like Djimon Colbert and Matt Hankins also in Iowa’s class, Creamer might not see playing time as a cornerback this season. That said, Creamer played both ways at Cartersville High School in Georgia while winning back-to-back state championships, so he might not be limited to just cornerback. He’s fast and a playmaker on both sides of the ball. As a senior, he gained 1,249 total yards and 21 touchdowns, per MaxPreps, yet was still recruited as a cornerback. It’s telling of how dynamic of a player he is. Iowa needs playmakers outside of Akrum Wadley. That became evident last season during the Outback Bowl, and Creamer could add a spark to either side of the ball. The Hawkeyes already said Creamer could play wide receiver, running back or defensive back with the Hawkeyes and possibly play both ways. He will have a say in his position, so it will be interesting to see what Iowa decides since they recruited well at all three positions. Creamer might not be the highest-ranked defensive back in the class, but he has experience on both sides of the ball and gives Iowa a much-needed playmaker. He might not play both ways, but simply getting him on the field could help Iowa. It’s no secret that Iowa’s passing game wasn’t good last season. Now, in 2017, Iowa will have a sophomore quarterback in Nathan Stanley and their only returning veteran receiver being Matt VandeBerg. Iowa signed three receivers and have options already on the team, but Brandon Smith looks like the next great Iowa receiver. He has great size at 6-3, 205 pounds, something that Iowa receivers typically lack. He uses it to out-jump defensive backs for 50-50 balls, out-run defenders on screens and shed off tacklers with ease. Smith looked like a man among boys in high school. Of course, the college game will be different, especially in an offense built around the run. Although, Smith looks like a player that fell through the cracks and a potential steal by the end of his career. His 3,672 receiving yards and 41 touchdowns in his high school career says it all. In just his senior season, Smith reeled in 19 touchdowns and 1,509 receiving yards on 80 receptions. Kirk Ferentz rarely plays true freshman receivers, but Smith has the opportunity to see time if he performs well in the off-season. That said, former top recruit Jay Scheel redshirted as a freshman and only played in six games last season as a sophomore. Scheel dealt with injuries in his career, which led to his retirement, but it’s still telling of the few snaps young receivers usually see. The wide receiver position outside of VandeBerg is seemingly up for grabs, so don’t be surprised if three-star Brandon Smith proves that his recruiting ranking was too low.